Want all the benefits of up to date training, networking with other investigators in your industry and regular emails advising of the latest information affecting your field? Become a member! Fill out an application at the highlighted link below. Members are voted on at the next regular meeting after the application is received. How Much Are The Dues & When Can I Pay Them? Membership dues in the amount of $25.00 are billed annually on a calendar year basis in March, however, you may pay your annual dues anytime by making your check payable to "CT IAAI" and mail to CT IAAI, PO BOX 3094 Vernon, CT 06066. Please be sure to note with the check, for whom the dues are for. You can also pay your dues at anytime via credit card by logging into your account under the "Member's Area" above. Use the drop down tap on the top right that says "What would you like to do? ", select "My Membership" and you'll find "Renew Now" at the center of the screen. Also, you may pay your dues at any Chapter event such as our training meetings or the annual seminar. 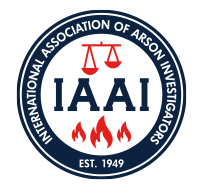 Clicking on the links below will forward you to the International Chapter of IAAI's application and website. Please take note that membership to the local chapter does not include membership to the international chapter, and vice versa.